Synopsis: A young married couple’s lives are thrown into a harrowing tailspin when an acquaintance from the husband’s past brings mysterious gifts and a horrifying secret to light after more than twenty years. The Gift is the impressive directorial debut of actor Joel Edgerton [Life (2015), Exodus: Gods and Kings (2014), The Great Gatsby (2013)] which he scripted and also stars in as Gordo. 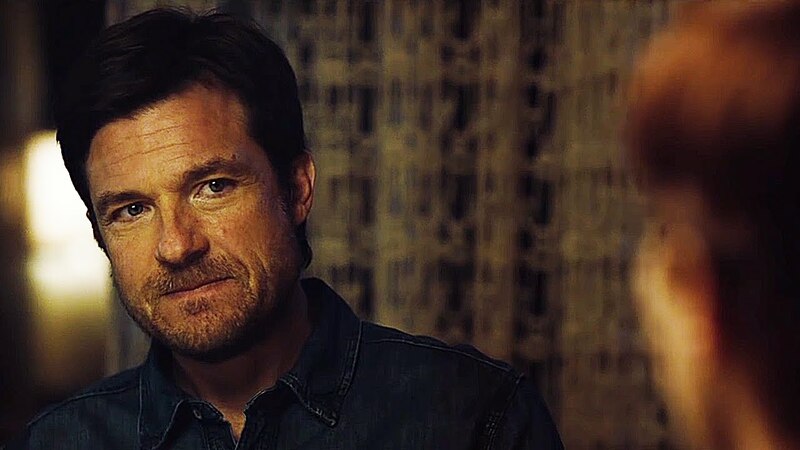 This intelligent psychological chiller is perfectly modulated: Simon (Jason Bateman) and Robyn (Rebecca Hall) are a young couple who have just moved from Chicago to Los Angeles and whose lives are going as planned until a chance encounter with Gordo (Joel Edgerton) a school acquaintance sparks off an unnerving series of incidents. Edgerton builds up the tension beautifully from a slow burn and throws in enough red herrings, plot twists and nasty surprises to confound expectations. All three leads are superb and handle well the gripping and thought-provoking issues raised in Edgerton’s clever script. A clever, original and satisfying thriller which impresses on so many levels and is indeed a gift to audiences.